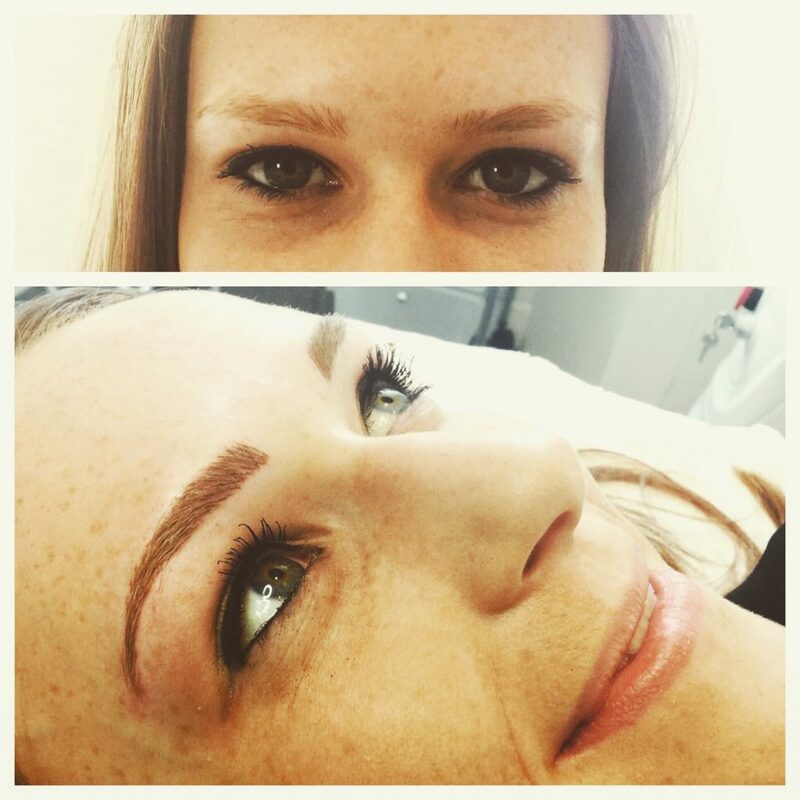 I had a consultation a few weeks ago with a woman who really wanted to have a semi-permanent makeup procedure on her eyebrows but was unsure because she didn’t want people to think she was vain. She had very sparse eyebrows which had further thinned due to medication she was taking. Her lack of brows made her feel like an ‘alien’ (her words) and as a result she often wore her fringe brushed down to cover the space where her missing brows should be. Eventually, she booked the procedure and went ahead. We spent a long time selecting a pigment that complimented her skin tone, and carefully designed the perfect shaped brows that wouldn’t overwhelm her delicately boned face. I built up the brows carefully, one little hair stroke at a time using a tiny super-fine needle, with some gentle shade through the centre of the brow to give a lovely soft and fluffy appearance. Needless to say the client was thrilled, and there were tears (of happiness I’m glad to say!) when she saw her face in the mirror for the first time after i’d finished. It’s interesting to me that she very nearly didn’t have the procedure done, given how happy and ‘complete’ she felt afterwards – wanting to look ‘normal’ was as far removed from being vain as it’s possible to be! I was pleased she’d had the courage of her convictions to go ahead when I saw how happy it made her. In a recent study carried out by the University of Lethbridge in Canada it was proven that eyebrows are the most important of all the facial features, even more so than eyes because they have a strong social significance for ‘emotional expression as well as facial recognition.’ So without brows, or with sparse or poorly defined brows your face is less expressive and if you lose your brows, you will look a lot less like yourself. Brows are pretty important then, I think you’ll agree! If you’d like a FREE no-obligation consultation to discuss the brow procedure and how we can help you – whether you no brows, or are just looking for greater definition, please get in touch. Email info@yorkshireclc.co.uk or call 07899783741.